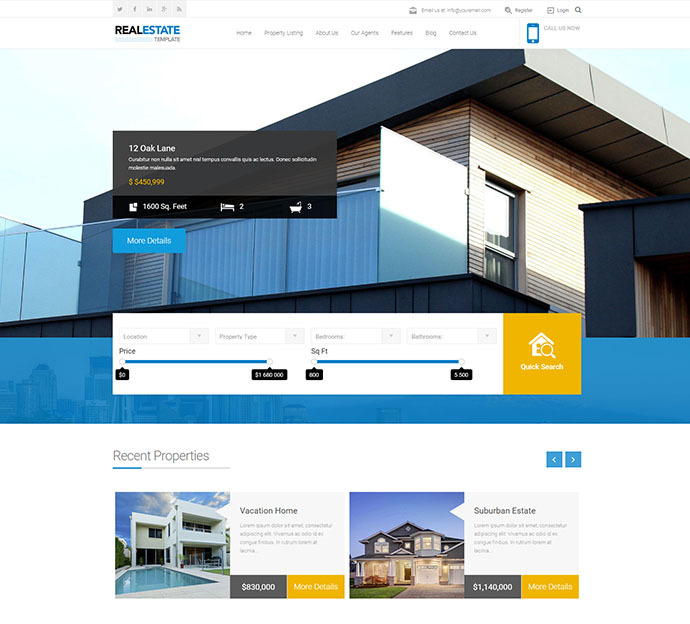 The Real Estate Agency template is designed for realtors to present their agency and their property listings to potential home buyers and sellers. 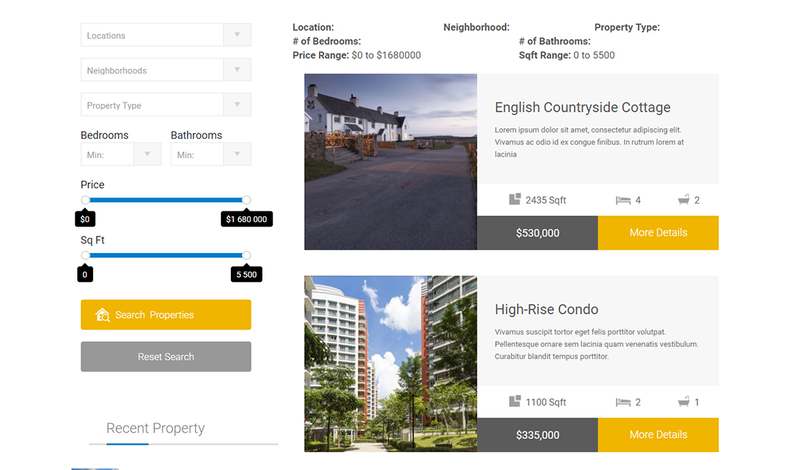 The most interesting component of the template is that the Property Listing search fields are dynamically generated. 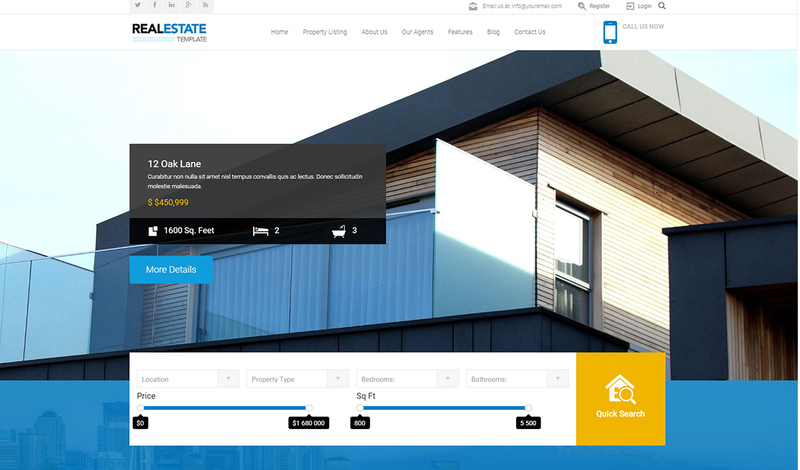 So you only need to enter your property information and if it’s a city you haven’t entered before or a type of property you haven’t entered before, it’s automatically added to the list. 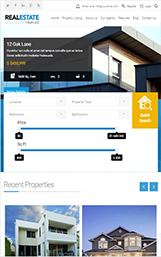 Property Search Web App Overhaul: The search form and search results have been completely re-developed for a better user experience. 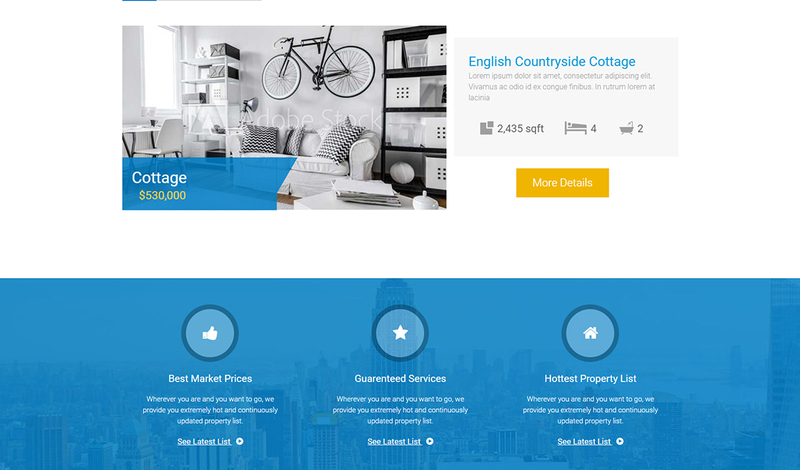 AJAX Property Search: Search results update live while inputting criteria - no waiting for page reload! 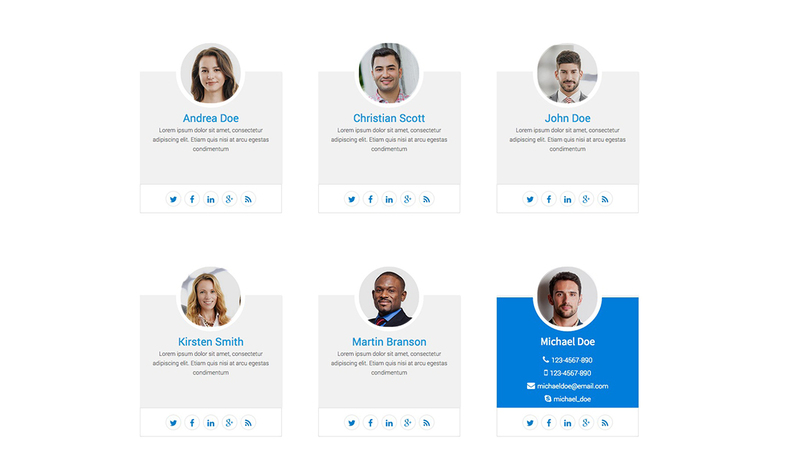 Easier Customization: Code has been simplified, making it easier to add/remove fields, and customize to your specific needs. Blog Widgets: The Most Commented Posts, Blog Post Tags, and Friendly Date widgets are now included in the Blog layout. 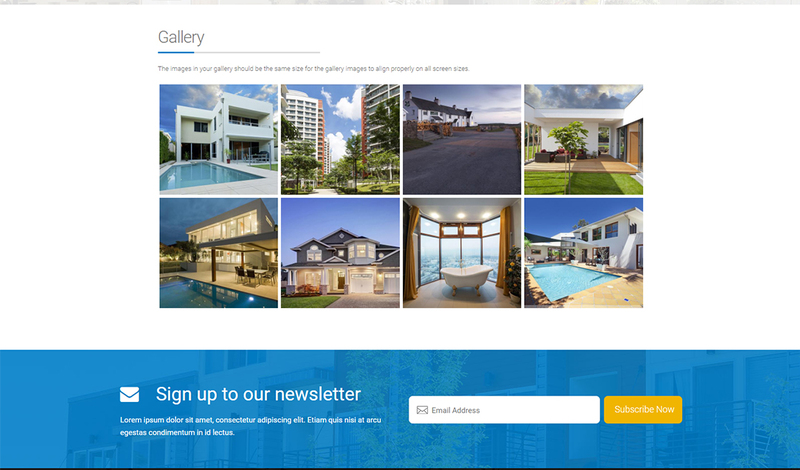 Blog Pagination: Updated pagination plug-in added to Blog. 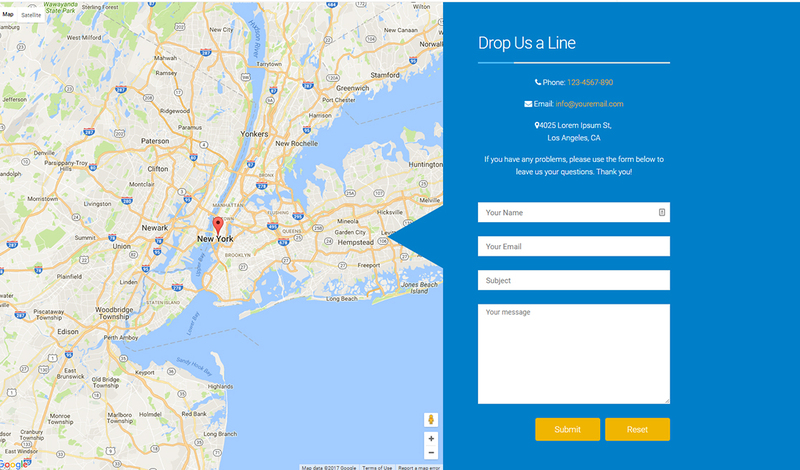 Company Info Web App: Addition of web app to quickly and easily update company name, logo, and contact information. 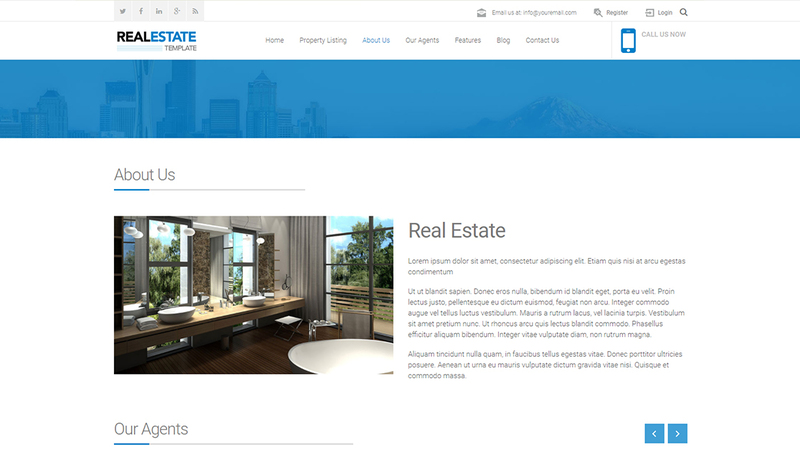 Cleaner Design: CSS updates throughout, creating a sharper look on all screen sizes. 10 Photoshop files and stock images are included in the Resources folder. 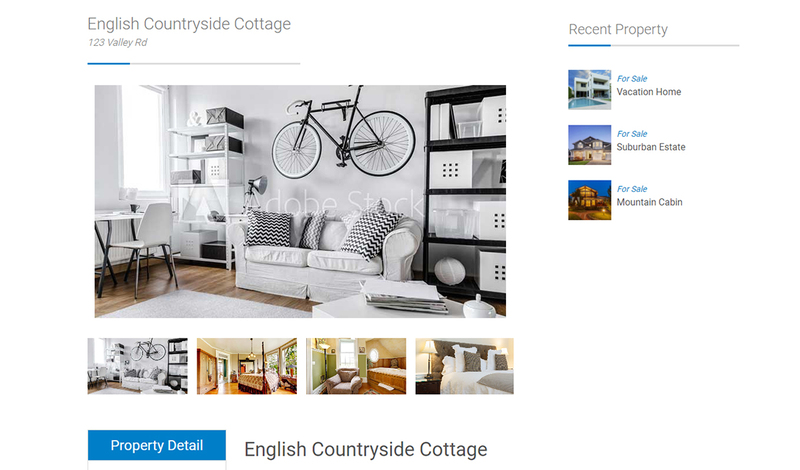 The Hero Slider, Property Listing, Logo Slider, Our Agents, Service and Testimonial sections are all web app driven, making it easy for you and your client to quickly add and update content.